An umbrella company is a payroll service for contractors, freelancers and temporary workers. The contractor, freelancer or temporary worker enters into an arrangement between their recruitment agency, end-client and the umbrella company; the user becomes the umbrella company’s employee for income tax and National Insurance purposes. An umbrella company operates a payroll system via Pay As You Earn (PAYE) to deduct income tax and National insurance from an employee’s pay to fulfill HMRC obligations on behalf of the employee. Using an umbrella company is the easiest way to get paid when you’re working on a fixed contract role. Once you’ve registered to an umbrella company, it will officially become your employer. Signing up to an umbrella company is easy and can usually be done using a registration form online or over the phone. Your agency will receive your agreed pay from your end-client, who will send the funds to the umbrella company. At this point the umbrella company will make the appropriate income tax and National Insurance deductions on your behalf to cover your HMRC obligations. There is also a small margin to cover the administrative costs of processing your payroll. The umbrella company will send you your wages directly to your personal bank account, minus deductions. You’ll also be entitled to employee benefits such as Sick Pay, Annual Leave, Maternity and Paternity Pay (contact us for more information on this). Am I self-employed when using an umbrella company? No – when you are working through an umbrella company, whether you are a contractor, freelancer or temporary worker you are the employee of the umbrella company. You will receive statutory employee benefits similarly to permanent employees. How will I be paid when working through an umbrella company? Most umbrella companies will pay your wages via electronic bank transfer (BACS). How often will I be paid by an umbrella company? You’ll be paid in line with the payment schedule agreed with your recruitment agency and end-client. If the umbrella company you use offers Faster Payments, you could receive your wages on the same day they’re received from the agency. 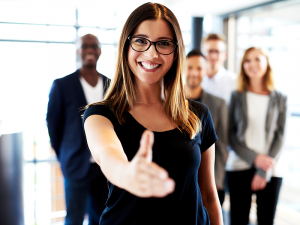 Umbrella companies can accommodate almost any contract worker – short-term assignment, public sector, and lower rate of pay are just some of the criteria that our umbrella employees meet. Visit our page ‘who should use an umbrella company?’ to find out more. When should I use an umbrella company? How much does it cost to join an umbrella company? For most umbrella companies, there is usually no sign up fee. With many compliant umbrella companies to choose from for your payroll, you shouldn’t need to pay a joining fee. How do umbrella companies make a profit? Umbrella companies apply a small margin to cover administration costs for processing employee payroll. The margin will either be a fixed amount or a percentage of the employee’s income. How much does it cost to use an umbrella company? The weekly margin of an umbrella company can vary between providers. You can usually expect to pay between £25 – £35 per week for an umbrella service, or £110 to £140 per month. What will an umbrella company deduct from my pay? Just like a regular employer would, your umbrella company will deduct the necessary income tax and National Insurance via PAYE, and pay this to HMRC on your behalf. The umbrella company’s weekly margin will also be deducted. What does Pay As You Earn (PAYE) mean? PAYE is the HMRC-approved method of processing payroll and deducting tax and NI for employees. Through PAYE, an umbrella company employee’s tax and NI deductions are made and paid to HMRC in line with current rates. Once these deductions are made the employee is paid via BACS bank transfer. 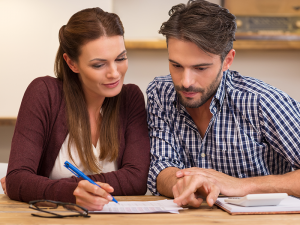 What is a BACS bank transfer? BACS is a system of sending payments electronically from one bank account to another. A BACS transfer typically is set up as a direct debit – payments take around 3 days to clear. How much money will I take home using an umbrella company? All compliant umbrella companies should offer you a similar take home pay, of around 65% of your gross wages. This could vary slightly depending on the umbrella company’s weekly margin. 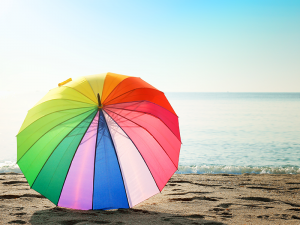 Get a personalised umbrella take home pay calculation from a compliant umbrella provider. What is a contractor calculator? 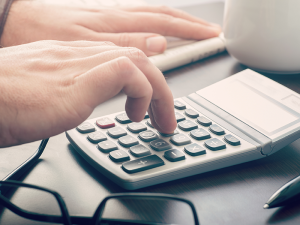 A contractor calculator will give you a basic illustration of what your take home pay could be through various payroll services – including umbrella company and limited company. It gives you an idea of the potential difference in take home pay when you compare these services, and will help you decide what to use. However, they are basic projections and for exact numbers, it’s important to request a personalised quote for your take home pay. How can I be tax efficient as a contractor? Setting up and working through your own limited company can be the most tax efficient way to get paid as a contractor. Being a limited company director can allow you to maximise your take home pay legally and reduce your tax burden – an umbrella company does not give you this option. However, it might not be possible for you to use a limited company for your work, or you may not want to. Compare the two to find out if you should use an umbrella company or a limited company. Are umbrella companies compliant with HMRC legislation? In a perfect world, yes. However not all umbrella companies choose to be compliant with HMRC. There are umbrella companies out there that operate offshore schemes and loan schemes, which could put you in financial jeopardy. 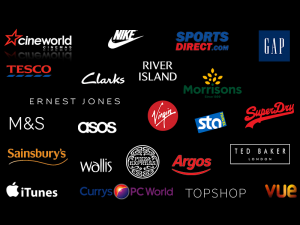 HMRC is finding new ways to tackle tax evasion and avoidance all the time, so it’s not worth using one of these non-compliant providers as you’ll likely receive an unexpected tax bill in the future. Before committing to an umbrella company, do your research and make sure it is fully compliant and regularly audited. What information will I need to give when joining an umbrella company? You’ll also need to provide scanned copies of your proof of address and ID. All of your personal information will be kept secure. Do I need to do any administration myself? The beauty of using an umbrella company is not having to complete more than about 15 minutes of administration per week. This includes filling out timesheets and emailing them to timesheets@churchill-knight.co.uk. Make sure they’re completed and signed first. Remember, if you are able to claim expenses you need to keep clear copies of your expense receipts. How do I submit my timesheets? Submitting your timesheets is usually an easy process. When you register with Churchill Knight Umbrella, all you will need to do is email your completed and signed timesheets to timesheets@churchill-knight.co.uk. Will I receive payments such as sick pay and holiday pay? When you work through an umbrella company you are entitled to the same benefits as those who are in full-time employment. You are entitled to Holiday Pay, Sick Pay, Maternity Pay and Paternity Pay. Employees of umbrella companies are entitled to Statutory Annual Leave. This is equal to 5.6 weeks per year, or 12.07% of the hours you have worked. Do I get any insurance? 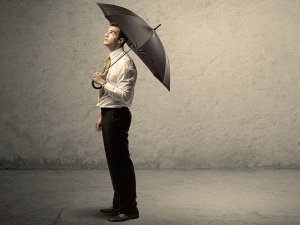 Most umbrella companies protect their employees with a comprehensive insurance package. The coverage you receive depends on the umbrella company and its insurance partner. The standard insurance package includes Employers Liability, Public Liability and Professional Indemnity insurance. This should be included in your service. Employers Liability Insurance protects you if you become ill, or are injured whilst working. It is a legal requirement for umbrella companies to have this type of insurance in place, or they could be fined. Public Liability Insurance covers you and the umbrella company if something you do whilst carrying out your work causes injury or loss to a member of the public or a colleague. Professional Indemnity Insurance will protect you and the umbrella company in the event that there are claims made against you in regards to your work. Such claims may include poor quality work, giving inaccurate advice that causes damage, or generally not fulfilling the terms of work agreed in your contract. 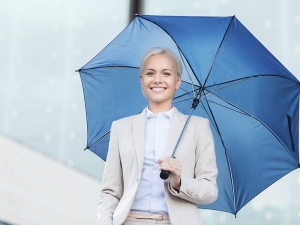 Can I claim expenses when using an umbrella company? From 6 April 2016, HMRC restricted the ability for umbrella company employees to claim expenses that are classified as travel and subsistence. Unless you meet certain criteria, you cannot claim expenses for tax relief. There is a possibility of claiming other expenses you may incur, but these will be pre-agreed by your client and recruitment agency. In this case you are more likely to be fully reimbursed rather than claiming the expense only for tax relief. May include train costs or mileage costs for your own car, van, motorbike or bicycle. HMRC has benchmarks for what you can claim with regards to mileage costs. If you are eligible to claim expenses it is likely you’ll have already agreed the limits with your client or agency before starting the assignment. Business phone calls, parking, tolls, etc. What is supervision, direction and control (SDC)? Visit HMRC’s website for case examples of SDC. Am I subject to supervision, direction or control? Established umbrella payroll providers will normally have a simple questionnaire to help determine whether you may be subject to SDC, designed with the support of professional industry bodies like Professional Passport. This should indicate whether you may be allowed to claim travel and subsistence expenses, but remember to clarify this with your agency. Ask your umbrella company for support when completing an SDC questionnaire. Am I a mobile worker? Regardless of your SDC status, you could be classed as a mobile worker if you’re required to travel to temporary worksites and locations throughout your assignment. You can claim travel expenses for journeys to and from the temporary worksites, whether you use public transport or your own vehicle. Do I need to keep the receipts for expenses that I am eligible to claim for? You need to keep clear copies of receipts that you are claiming expenses for. Whether you choose to keep secure electronic copies or paper receipts, these must be kept for six years. How do I submit my expense claims through an umbrella company? Your umbrella company should have a secure online portal you can use to upload copies of your receipts to claim eligible expenses. If it does not, you’ll need to send these via email or post. What if my contract is self-billing? Once a self-billing agreement is set up between you, your agency and end-client, you simply submit your timesheets for approval and your agency will send the self-billing invoice to the umbrella company. The umbrella will receive your payment and deduct the necessary tax and NI, and then pay you via the payroll system. How do I leave an umbrella company? Does it cost anything to leave? To leave an umbrella company, inform them you no longer require their services and ensure you are issued with a P45. To switch umbrella companies, visit our page ‘switching umbrella company’. Some umbrella companies will charge a leaving fee, but you shouldn’t be penalised if you wish to leave. Choose an umbrella company that does not charge a leaving fee. How do I start a limited company instead of using an umbrella company? If you want to become a director of your own limited company, contact an accountancy provider that specialises in accounting for contractors. For a fixed monthly fee, a good accountant will be able to help you with the set up and ongoing operations of your limited company, including filing your annual accounts and processing your invoicing and payroll. Find out more about your limited company options. Is it easy to change umbrella companies? Switching umbrella companies is simple. Tell your current provider you wish to leave their service, and register to the new umbrella company. The new umbrella company should facilitate the arrangements with your agency and existing umbrella provider, and get you ready to receive your wages. Your previous umbrella company will need to provide you with a P45. To switch to Churchill Knight Umbrella, complete this brief registration form. We’ll also need proof of ID and address to facilitate the switch. Is an umbrella company the right option for me? Using an umbrella company is easy and hassle-free. It allows you to focus on your work and avoid paperwork by keeping your administration a minimum. However it’s not as tax-efficient as having your own limited company. If you wish to increase your take home pay, contact us about our limited company service. Regardless, it’s important to do your research and decide for yourself if an umbrella company is the right way to go. Your working circumstances will also give you a good idea what you should use, with regards to your IR35 status, the contract length, and your rate of pay. Can I use an umbrella company even though I have a limited company? Yes – you can use an umbrella company and still keep your limited company. This may be if you take on a contract role that is less than 3 months, or inside IR35, and you wish to keep your limited company dormant until you need it again. If you have a limited company with us, Churchill Knight 360 is a feature of our service that allows you to have full use of our umbrella company for free, and then return to the limited company service in the future. Should I use an offshore intermediary instead of a UK-based umbrella company? It is not a good idea to consider using an offshore scheme whilst you’re working in the UK. HMRC is constantly hunting down these schemes and chasing those who may owe backdated tax. If you are caught by HMRC avoiding or evading tax at any point, you will have to pay back the tax you owe as well as any fines and interest levied. I came across an umbrella company offering 90% take home pay, are they legitimate? An umbrella company offering you the ability to take home 90% of your pay is not compliant. After tax and National Insurance deductions, your take home pay would be around 70% of your earnings at the absolute most. All compliant umbrella companies should be offering you a similar return on your take home pay. Do I need to submit a Personal Tax Return when using an umbrella company? Because your tax and NI deductions are handled by the umbrella company through PAYE, you usually won’t need to complete and submit a Personal Tax Return. An instance where you would be required to submit a Personal Tax Return, otherwise known as a self-assessment, is if your income is over £100,000 or you have additional earnings such as rental property income, or if HMRC has requested you to complete a Personal Tax Return. If you have any questions about Churchill Knight Umbrella that we have not answered in our FAQ, please get in contact with us using the form below. You can also give us a call on 01707 871622.